Regardless of the type of music you prefer – our patented radial-beam principle is the guarantee for your total listening pleasure. The sound waves are radiated spherically, thus creating a natural three-dimensional acoustic pattern. The mbl 111 F gets its hybrid character from the use of complex pressure-chamber technology in the woofer range, which gives it an enormous bass foundation and two force-balanced chassis in the lower mid-range, which provide for virtually unlimited dynamics and impressive impact. Thanks to radial-beam technology in the mid-range speaker and tweeter, the sound of your music remains enjoyably airy and light. Even the finest nuances are reproduced with ease. The interplay between these individual elements gives this speaker sound with a purity and beauty that will impress you right from the very start. 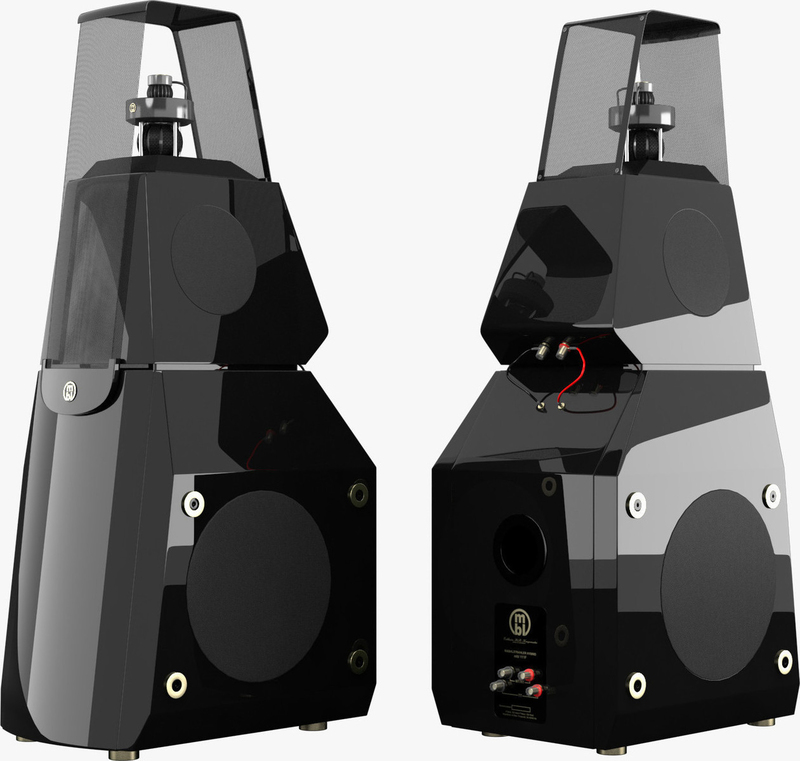 The pyramidal MBL 111 retains the tweeter and midrange drive-units from the 101, mounted one above the other and crossed-over at 3.5kHz. 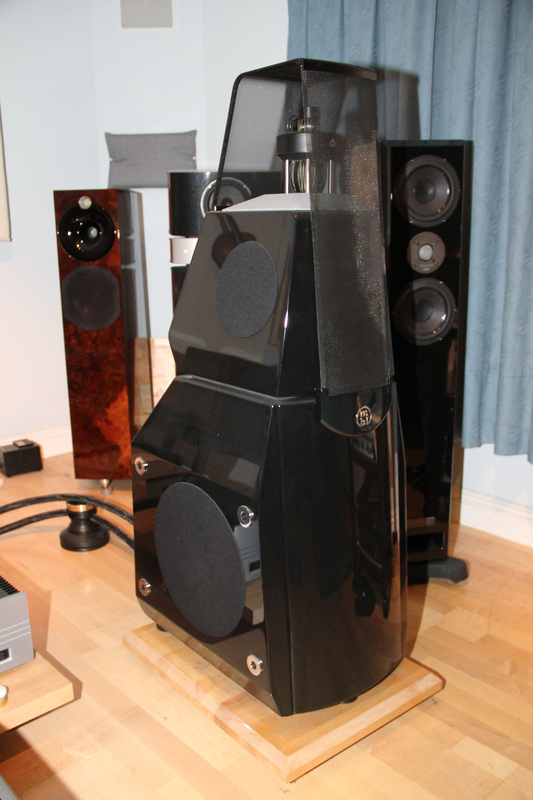 The tweeter has 25 high-stiffness carbon-fiber petals, while the midrange unit has 12. 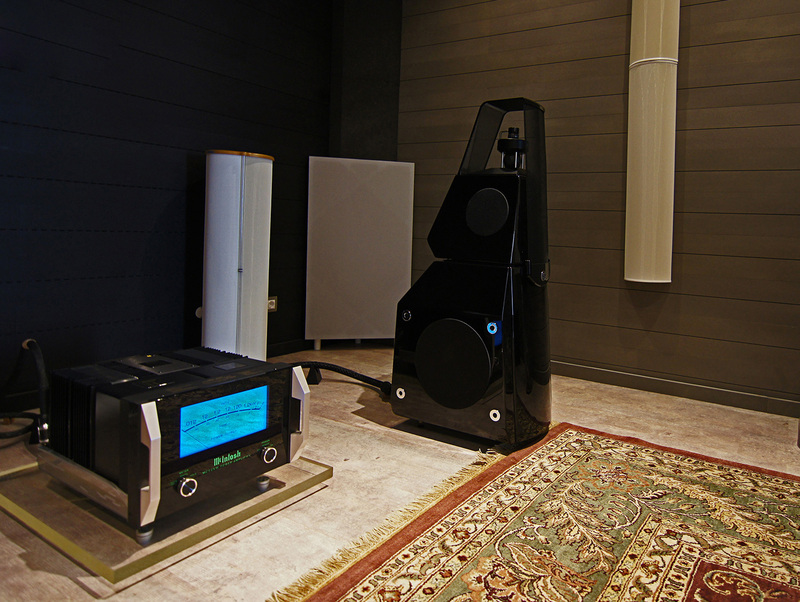 Between 130Hz and 670Hz, the lower midrange is covered by a conventional 5" moving-coil unit. Made by MBL, this unit is mounted facing upward in a sub-enclosure—a conical diffusor beneath the magnet of the midrange Radialstrahler unit reflecting the lower-midrange sound in a 360° pattern. A star-shaped felt diffusor around the same magnet optimizes the radiation resistance of the upper-midrange unit. Another technological sensation is the patent-pending “crystallizer”. This system is unique in the hi-fi range: you will experience music with more definition and less distortion than ever before. The unadorned silhouette inspired by the Bauhaus style can be elegantly integrated into virtually any home environment. And the form also makes a considerable contribution to optimizing the sound quality. In this way, the mbl 111 F satisfies your desire for exquisite sound quality as well as for good looks that reflect classical understatement.